Next: Baby Magpie learns to fly – sort of » « Prev: Whose egg is that? 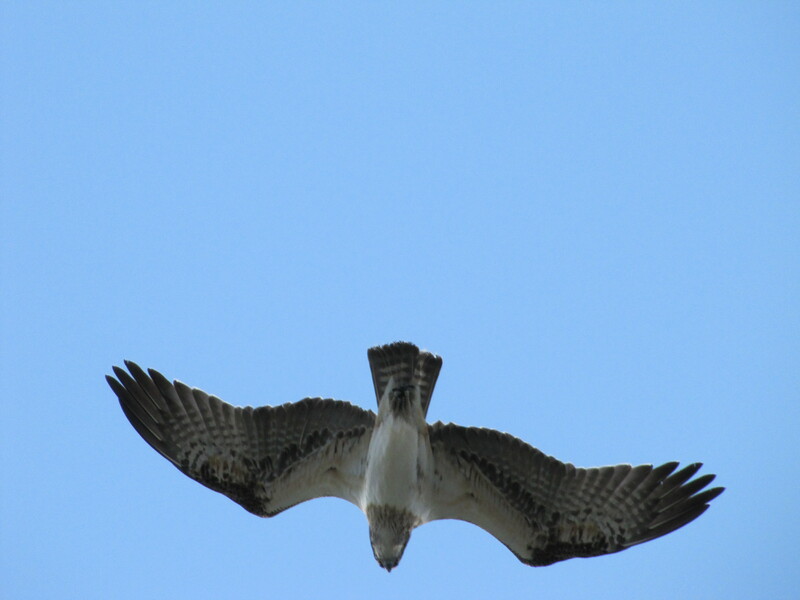 I don’t often get the chance to observe the magnificent Osprey. When I do, it is always a special moment. I guess most birders feel the same way about this wonderful bird. Therefore it was with great delight that I saw a special article in today’s state wide newspaper here in South Australia – The Advertiser – about this lovely bird, complete with a great photograph. Because the link to the photo I wrote about no longer works, I’ve included one I took some time ago while on a holiday on the Yorke Peninsula in South Australia. It’s not a great photo but it shows the Osprey in flight. I agree with you re. the Osprey Trevor, extremely rare and out of range here in Gippsland but we’ve been fortunate to see one three times over the years, a great thrill. Thanks Duncan. Like so many of our larger birds of prey, they are something special. So sad when they become threatened and rare. Thanks for that link to the story about the Osprey Trevor. What a great story, I love to see people go out of there way to help our magnificent wildlife. I agree with you Tricia. Wasn’t it a magnificent photo – my mother-in-law commandeered that page from the paper the moment she saw it. She is always looking for good subjects for her painting.